Mike Powell, Skate Guru from K2 Skates and Rob Gill, of InlineSkates.com, review the 2015 K2 FIT 80 and Athena Inline Skates. Hey, welcome to the Daily Spin. I'm Rob from inlineskates.com joined today by Mike from K2. Mike, thanks for being here. Hey, thanks for having me, Rob. 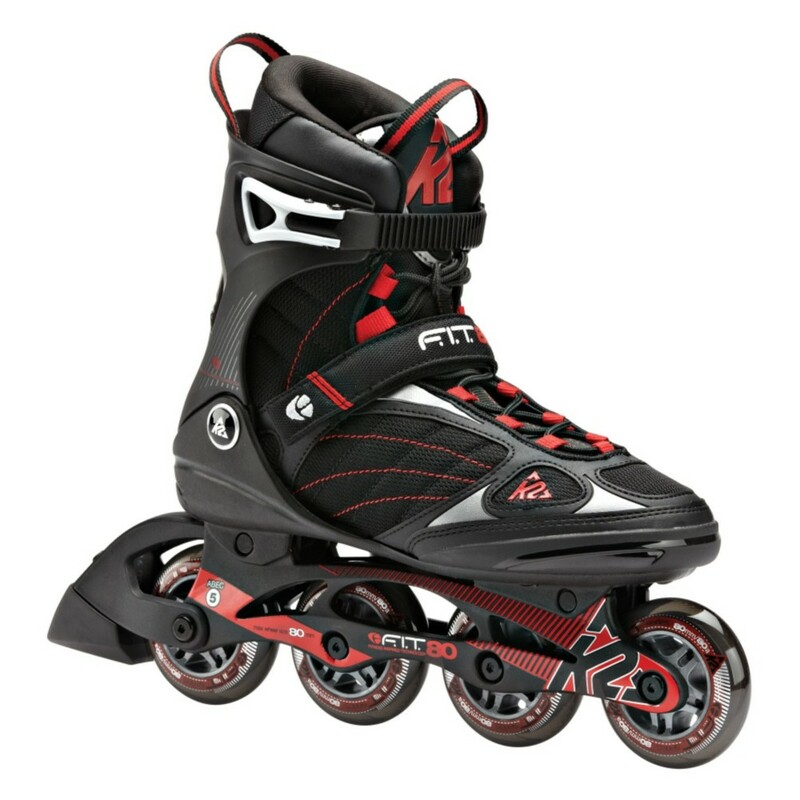 So, we're talking about the Fit 80 and the Athena Skate from K2. Kind of that entry-level into the fitness lineup, in K2's lineup. What's kind of the first feature that jumps out with these skates? You know, I think the most important thing when you're talking about a K2 skate on this level or any level is the Soft Boot technology. We're the original Soft Boot. We built our inline skates like a high performance piece of footwear and the fit is better than any inline skate on the market so that's your first, most important, feature. For sure. Now, let's talk a little bit about the closure system with this skate - the buckles and straps and lacing system. So, you've got your buckle here and your standard lace. It's going to give you a nice, smooth even fit throughout the skate. For sure. Now, moving down the skate, composite frame and 80mm wheels on this skate, right? Yeah, so composite frame is great for sucking up a lot of road vibration so it's going to make it easier for that new skater to really get out there and just feel the road but not get too much vibration. It's also going to transfer the power from the foot to the road really well. Then that 80mm wheel and the ABEC 5 bearing is going to give you a smooth roll. It's the perfect sized wheel for a new skater. For sure. So, this skate, the Fit 80, the Athena, who is this skate geared for? You know, it's for new skaters and people that are experienced skaters alike. It's just for people that want to go out there, roll around whether they're out skating with the kids in the neighborhood or they're logging some miles on the trail, they're really going to enjoy this skate and it's going to get you into skating and then eventually you'll upgrade and go a little bit faster. Fantastic. So, if you're looking for that kind of entry-level fitness skate, the Fit 80 on the men's side and the Athena on the women's side from K2 are really great option and you can check them out on inlineskates.com. Thanks for joining us on the Daily Spin.